Alessi. They make ordinary household items…that are anything but ordinary! Surround yourself with Alessi, and make everyday life a little more magical, a little more quirky, a little more electric! Alessi recreate and re-energise common bric-a-brac that you find in your house to bring a breath of fresh air in to your kitchen, your dining room, your living room, your bathroom… They’re like a flash mob that appears in your house, paints it in vibrant colours, and replaces everything plain and boring with an eccentric piece of pop art. 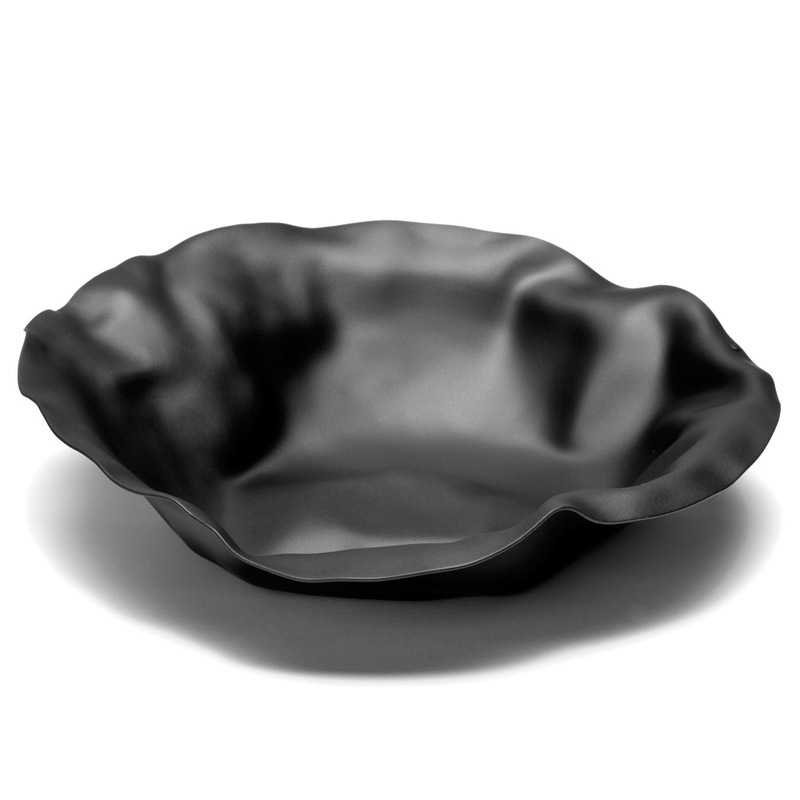 Like flowing water, the Sarrià bowl is of no particular shape or texture. Its stainless steel shape is random and unstructured, and it has been coated with a matte black resin, giving it a sleek look. It doesn’t matter where you place it in your home; the Sarrià bowl draws attention to itself. Made in Italy from 18/10 stainless steel which has been coated in black epoxy resin.